It’s no secret that Bend is quickly becoming a mecca for tech companies and with the surge in bandwidth usage and concerns over Internet reliability, it makes sense to address these issues now to help ensure Bend’s thriving success as a “tech town” for the future. 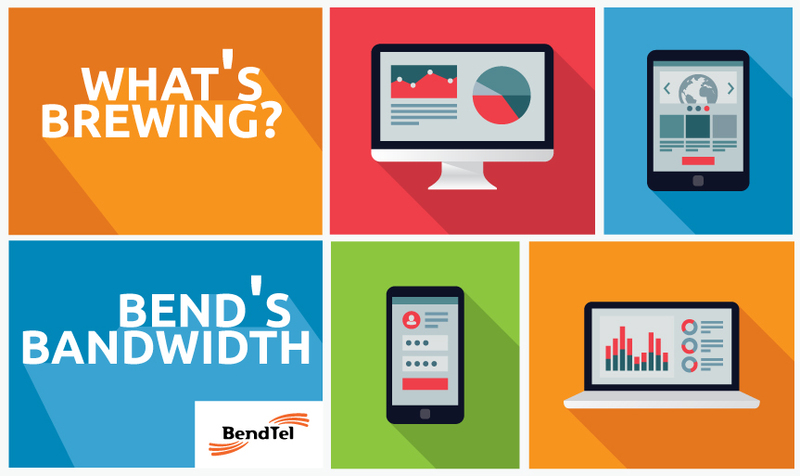 The Bend Chamber of Commerce will be hosting an open forum on Tuesday, April 5, at the Deschutes Brewery Tap Room from 5-7 p.m. to discuss Bend’s bandwidth issue. The event will be co-moderated by Ben Hemson, the new City of Bend business advocate and Jamie Christman, from the Bend Chamber. This discussion will include what issues local businesses are facing, what their needs are and how local utilities like BendTel can help find solutions. Join us for an opportunity to be a part of a unique conversation and hear from local business leaders as well as local service providers like BendTel’s CEO Tom Barrett, as well as a chance to share your feedback and concerns. For more information about the event or to register to attend please visit www.bendchamber.org. If you are unable to attend, be sure to check back with us as we will be sure to post a follow up article about what was discussed at the event.